The cover for the final disk in the Sailor Moon S Heart Collection suitably showcases the Soldier of Destruction, Sailor Saturn against a dark cosmic border. 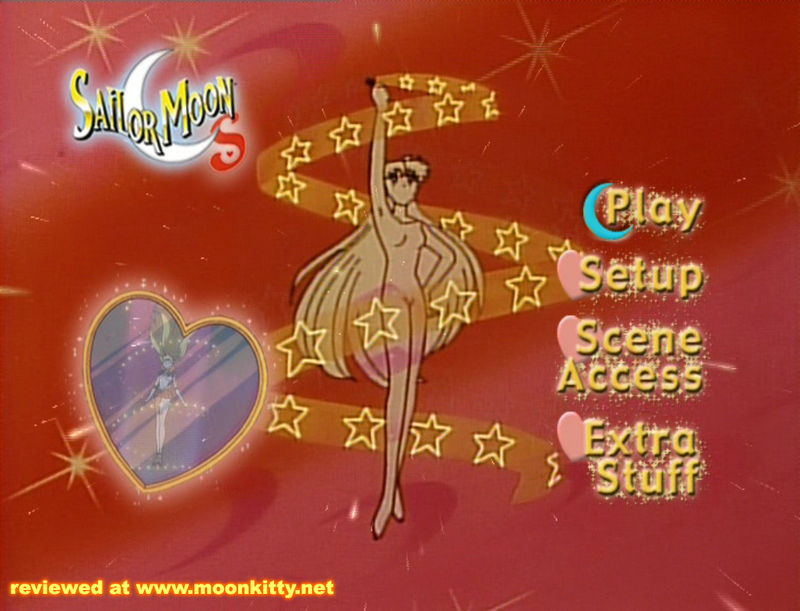 The rear of the cover continues this design scheme with some great dramatic images from the episodes on this DVD such as a shocked Super Sailor Moon holding baby Hotaru and Mistress 9. 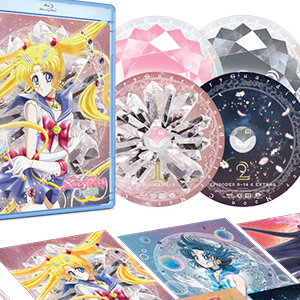 The "Special Reversible Cover" features a fantastic image of Sailor Moon surrounded by the Sailor Soldiers of the Outer Solar System. Each of the characters are drawn superbly. 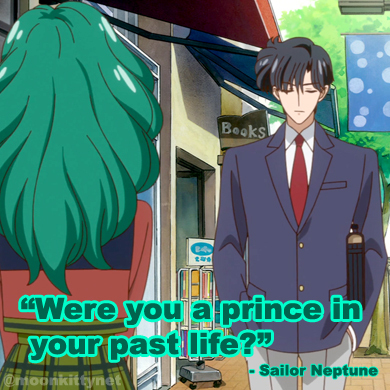 Sailor Pluto in particular as never looked so good. I chose this cover in a heartbeat. 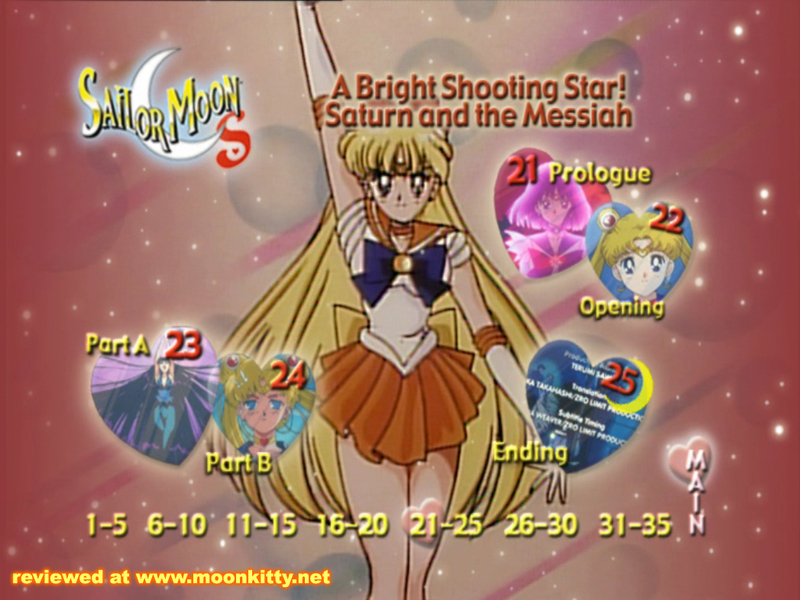 Continuing the transformation and attack theme from the previous DVDs, this final addition features Sailor Venus. I can't put my finger on why, but the menus on this disk seem to look "better" than the previous five. The transitions flow better, and the stills chosen are more dynamic. A strange quirk I noticed though was the fact that it's Sailor Mars' Japanese transformation theme playing in the background and not Sailor Venus'. It never gets to the point where the chorus yells out Sailor Mars' name however and her theme is more dynamic which is probably why they chose it. The end credits blooper in the Scene Access that returned on the previous DVD has once again been fixed here. As stated in previous reviews, the image quality of the menus isn't that great because they're using animation from the actual show for the menus (can't be helped) but it is good to have consistency with the Heart Collection's menus on each disk. 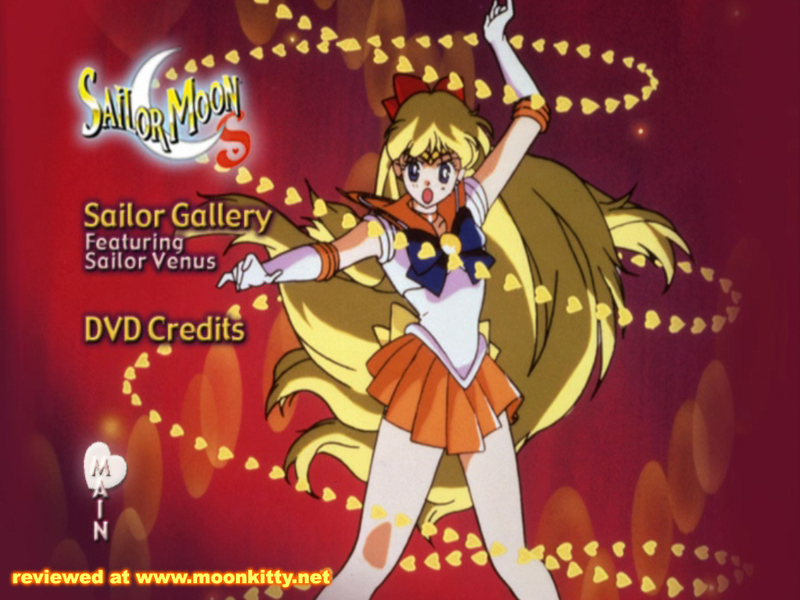 Having used up all of the opening and closing credits for the season, the only real extra we get is the final "Sailor Gallery" featuring Sailor Venus. It has a good info about Sailor Venus, a lot I think latecomers to the series may not know about her such as her living in London before she came to Japan and that she was the first to awaken. The images are rather good though I do wish they had more. This DVD is excellent value. Not only does it offer the episodes in both Japanese and English but an extra episode has been added with this volume, bringing the count up to seven! An excellent way to finish what many think (I definitely do!) is the best season of the Sailor Moon anime. The first three episodes, Fiendish Ferns, The Science of Love and Wake Up Call introduce and kill off just as quickly the final three members of the Witches 5 and picks up the pace dramatically with almost no filler at all to get the charcaters and plotlines ready for the next batch of episodes. Who's Really Who? and Darkness, My Old Friend are two action packed and emotionally charged episodes that brings the major plotlines to a head while Second Chance and Tough Kindness pick up the pieces and actually allows the characters times to reflect on what they've just been through and ties up pretty much every loose end before the next season begins. These episodes show just how well the entire Sailor Moon S season was plotted and paced with characters' motivations from earlier episodes and long running subplots really paying off here. 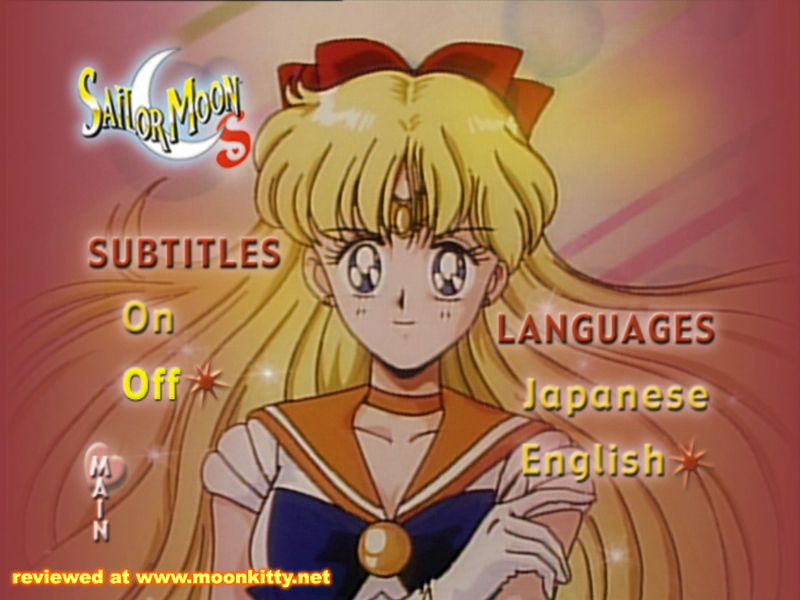 Fans of Sailor Moon or good anime will not be disappointed in this DVD and this is in reference to both the original Japanese and the English dub.